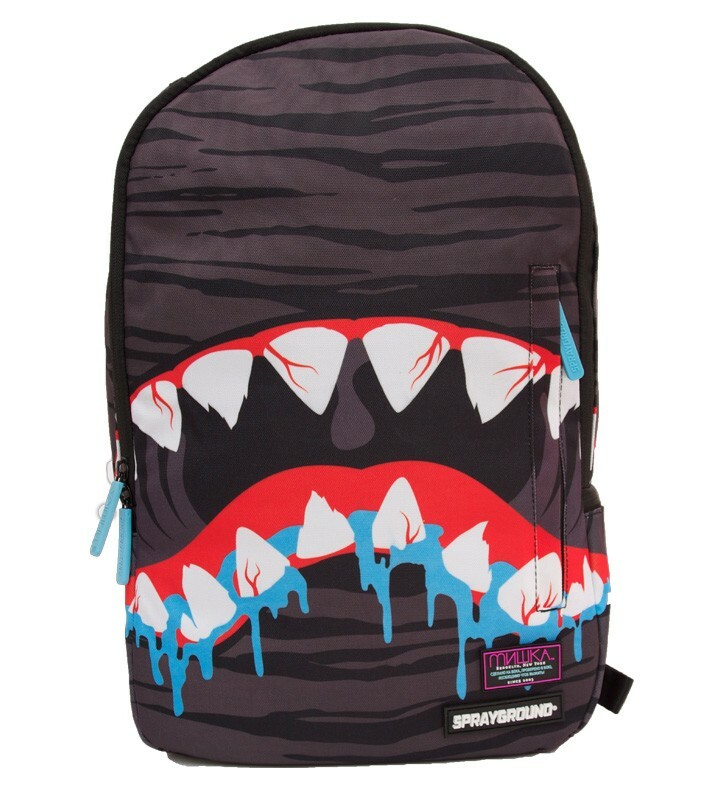 Sprayground MISHKA Death Shark Backpack - Urban Men's clothing & Apparel at Electrowear. This is another new addition to the MISHKA X SPRAYGROUND Collection, it comes with a slight twist to Sprayground's Tiger Shark bag, this style backpack features the MISHKA Death Shark print which makes the backpack appear to be the head of shark' with it's drudging eyes & devilish teeth! This bag has all the maximum padding you can get in backpack at the same time of having a comfortable journey! The X-Ray backpack comes in black with the x-ray print in white, this bag comes with many different compartments to assist you with your travels. Sprayground is one of the most highly functional backpack idea going', why not grab yourselves one while they last!